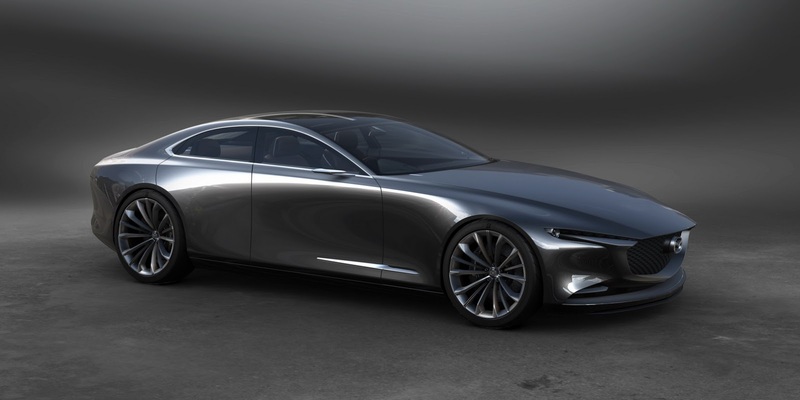 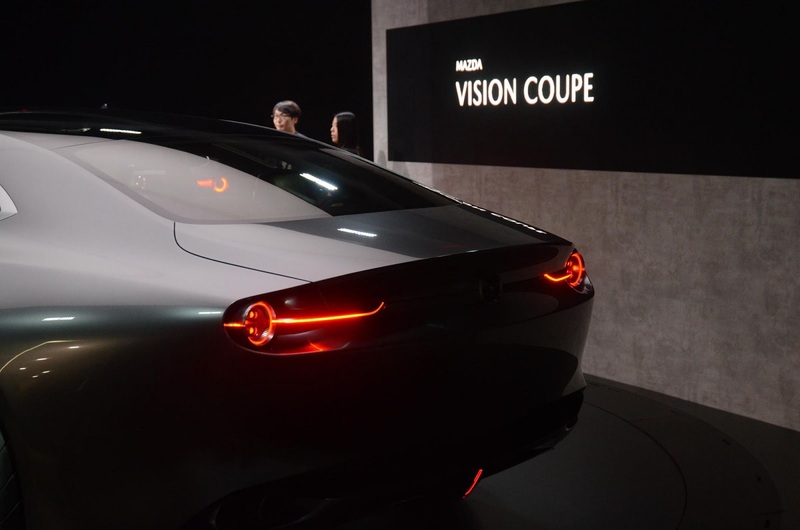 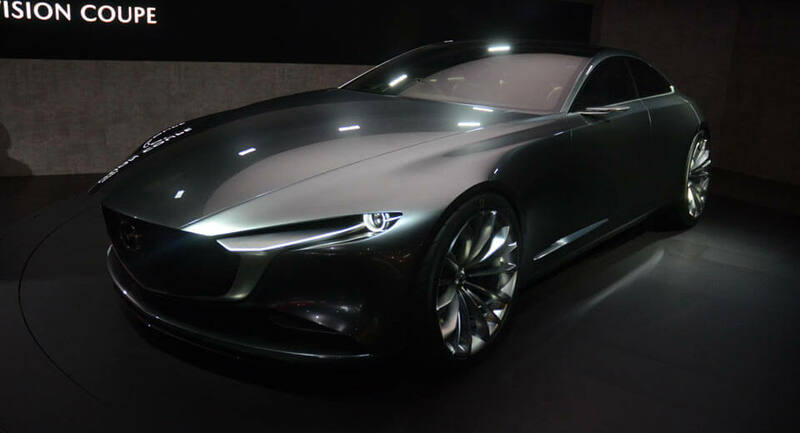 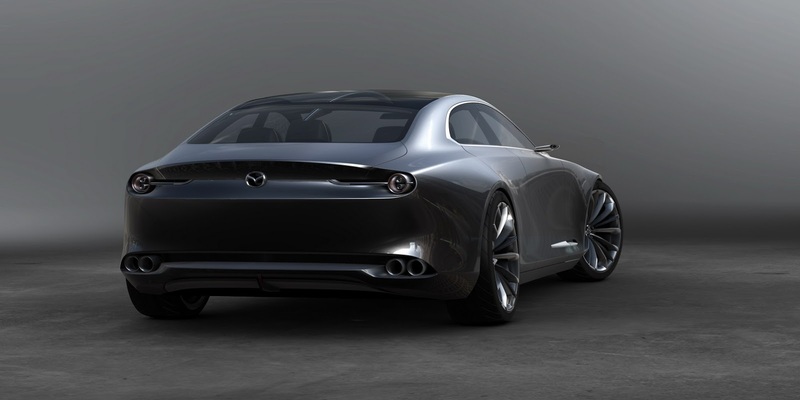 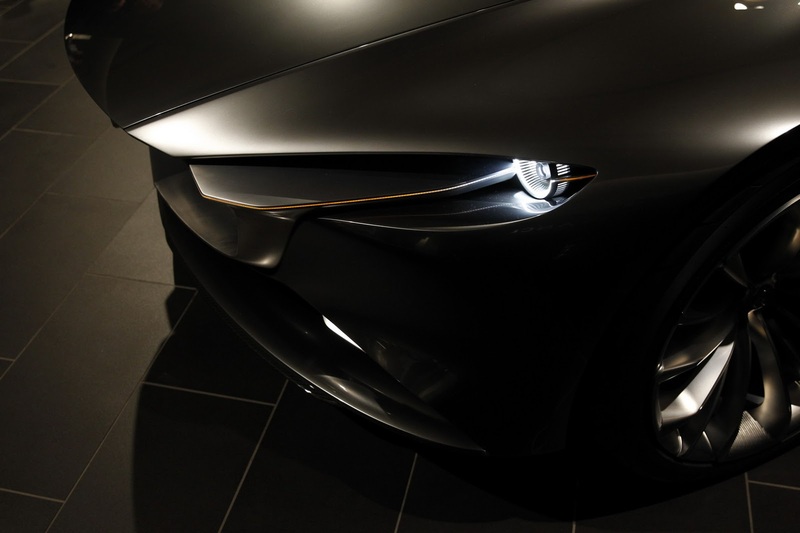 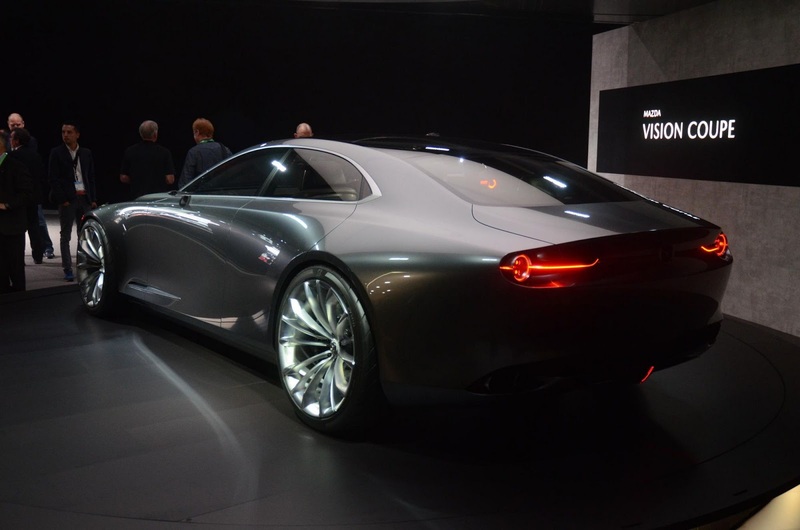 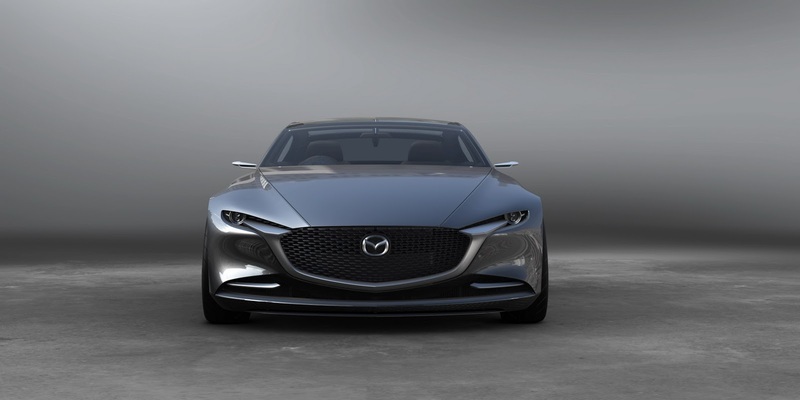 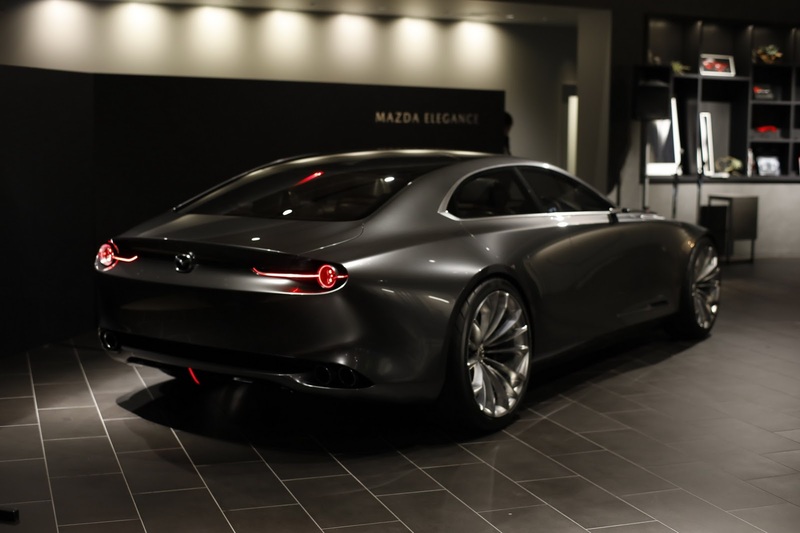 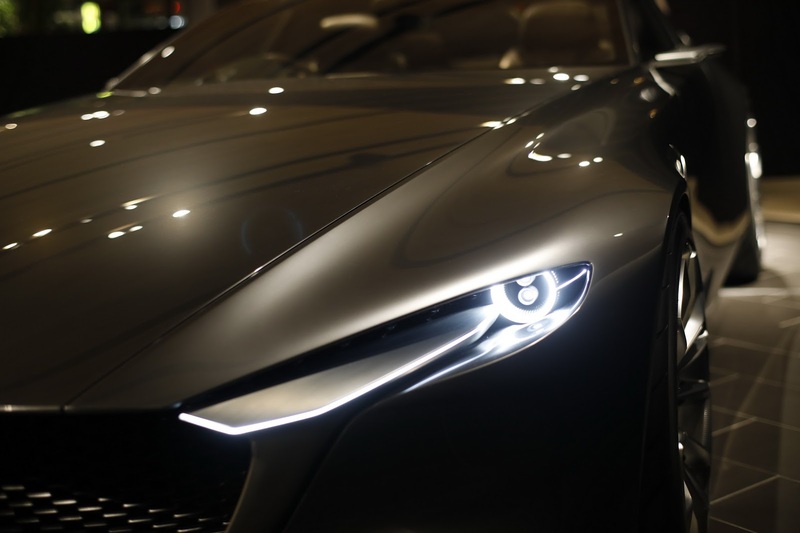 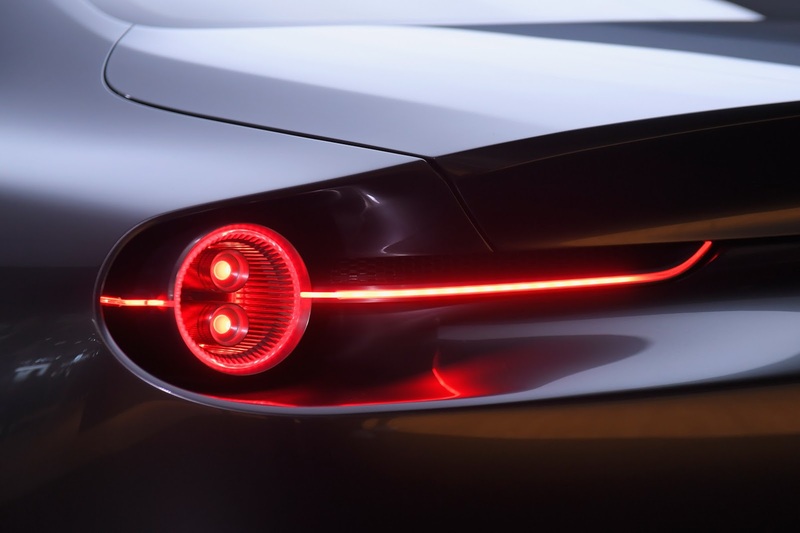 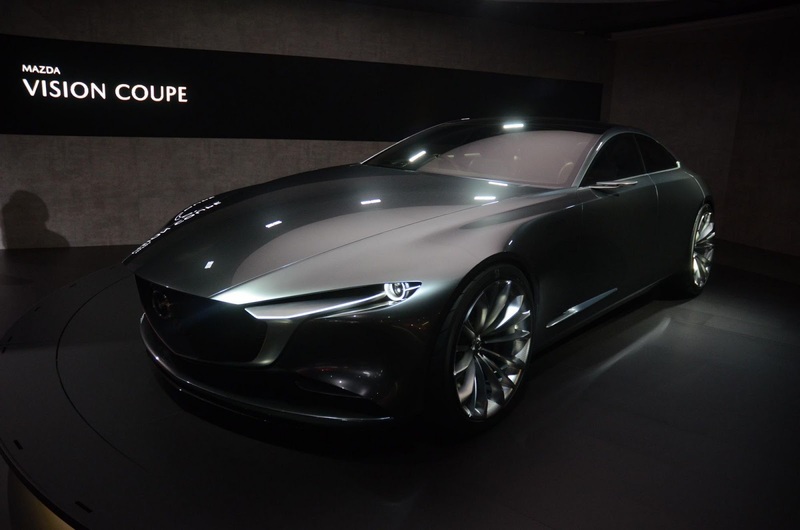 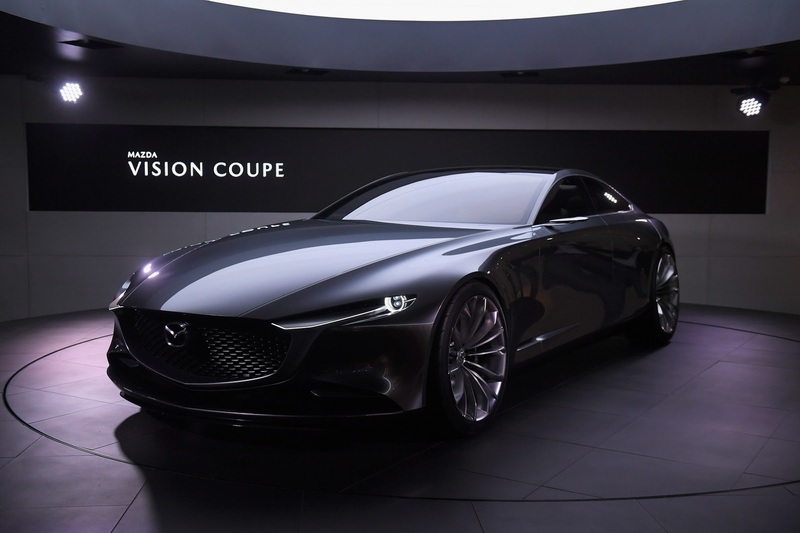 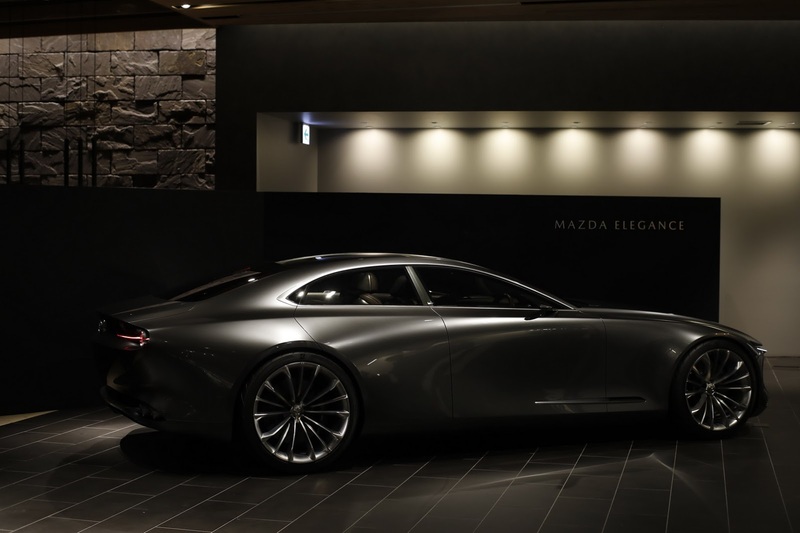 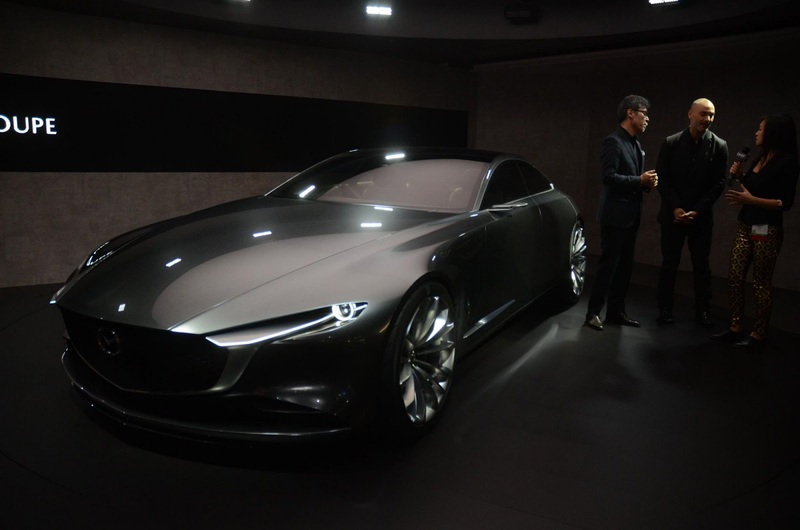 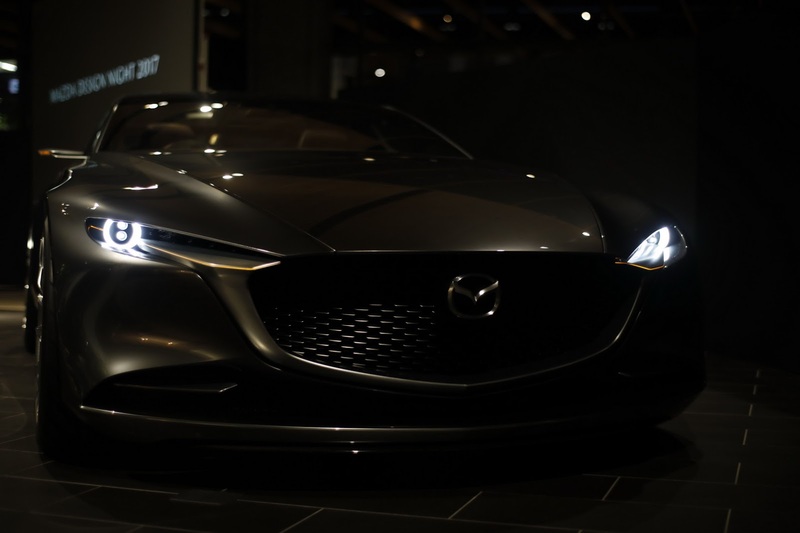 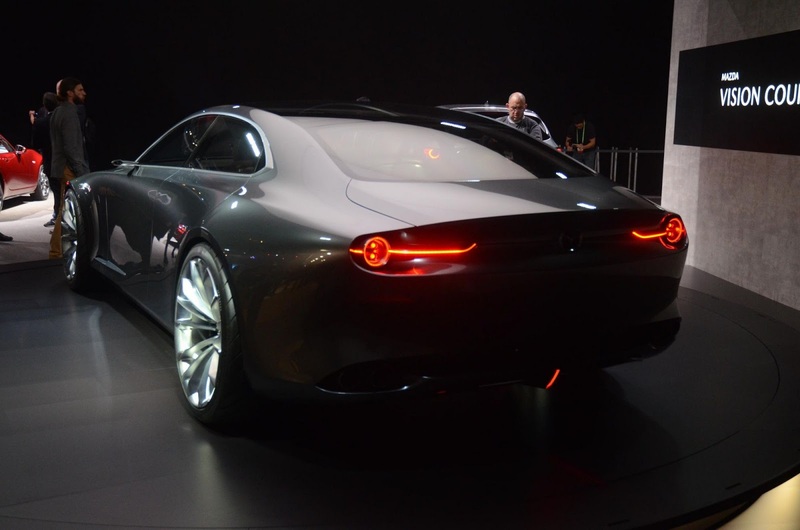 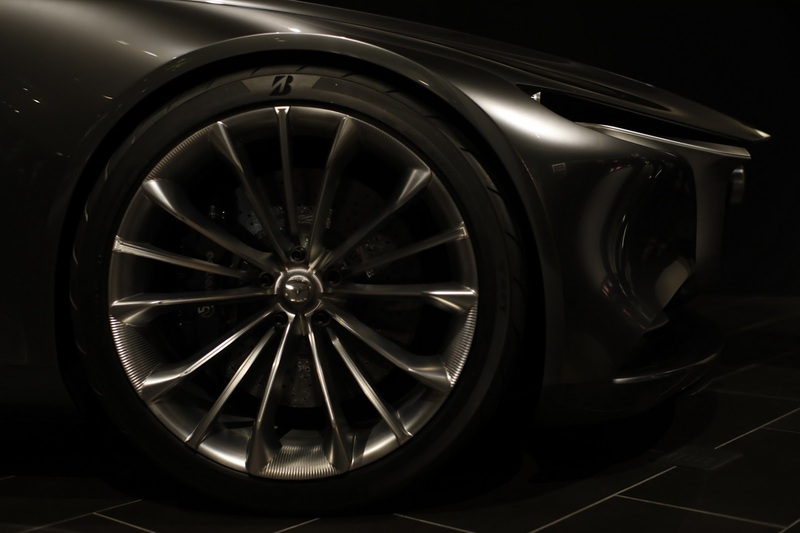 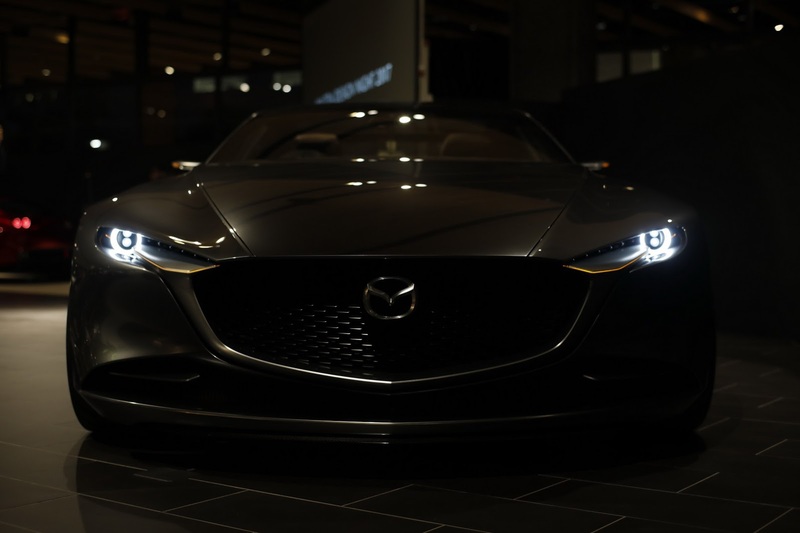 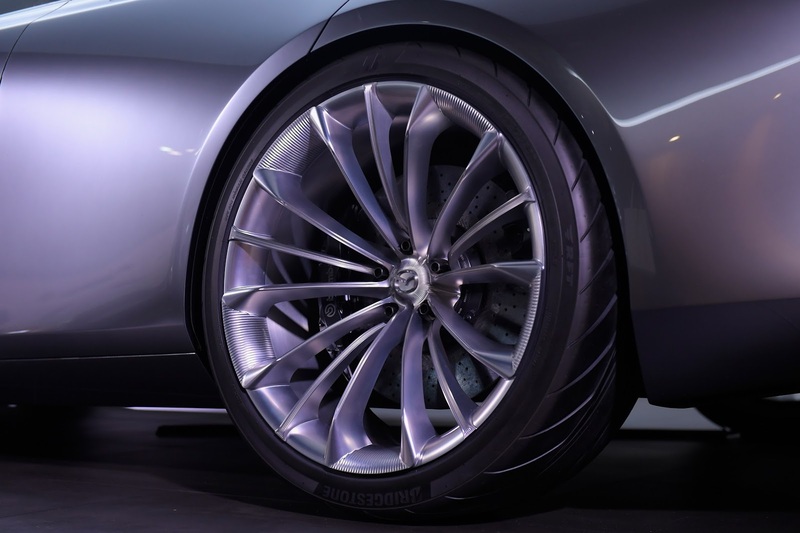 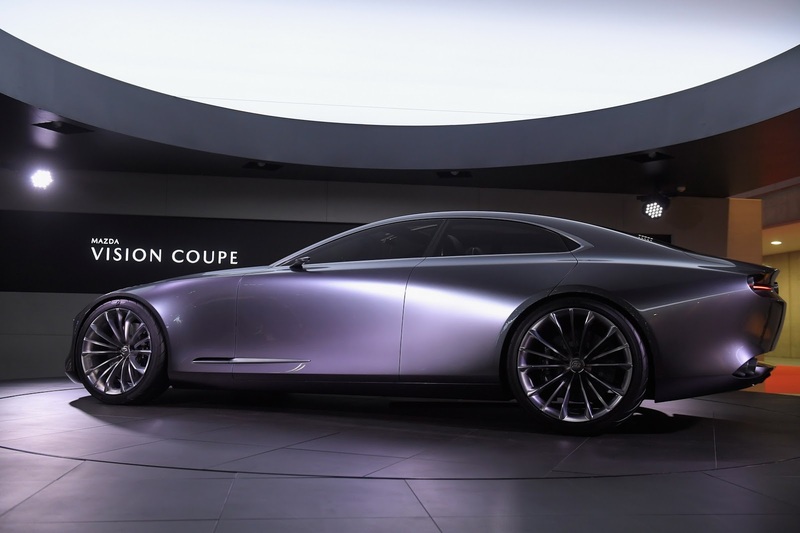 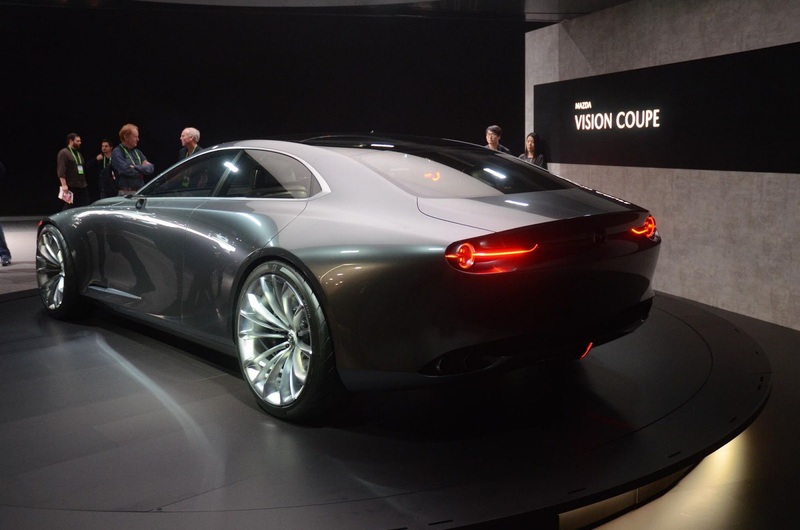 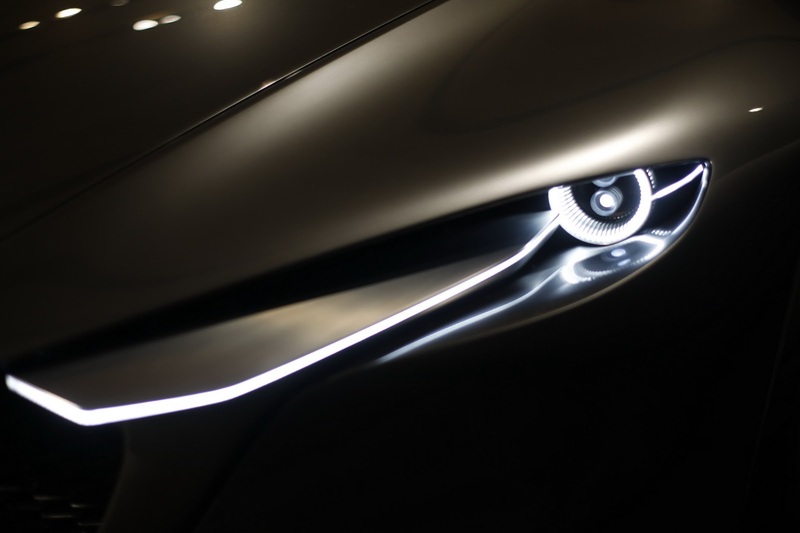 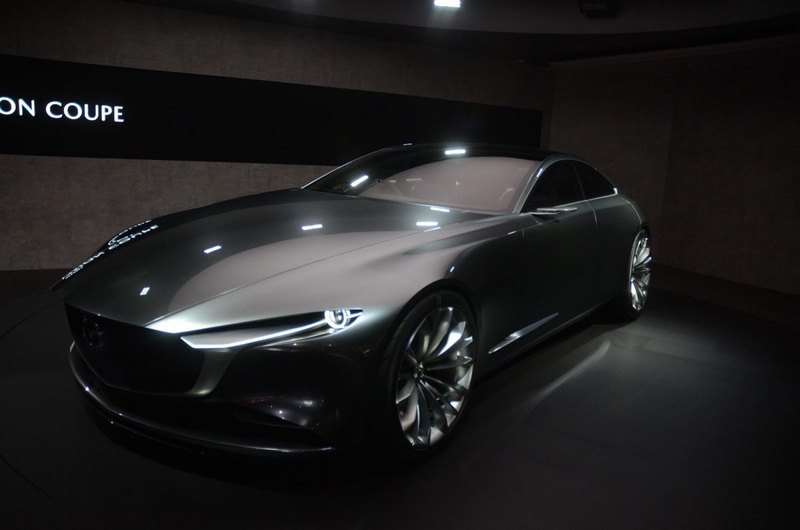 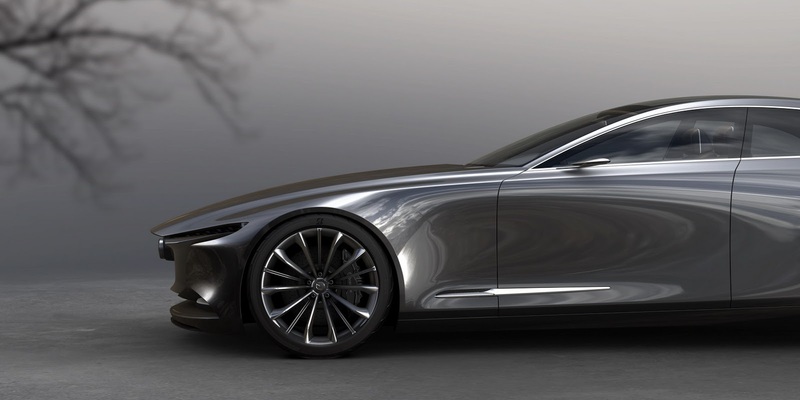 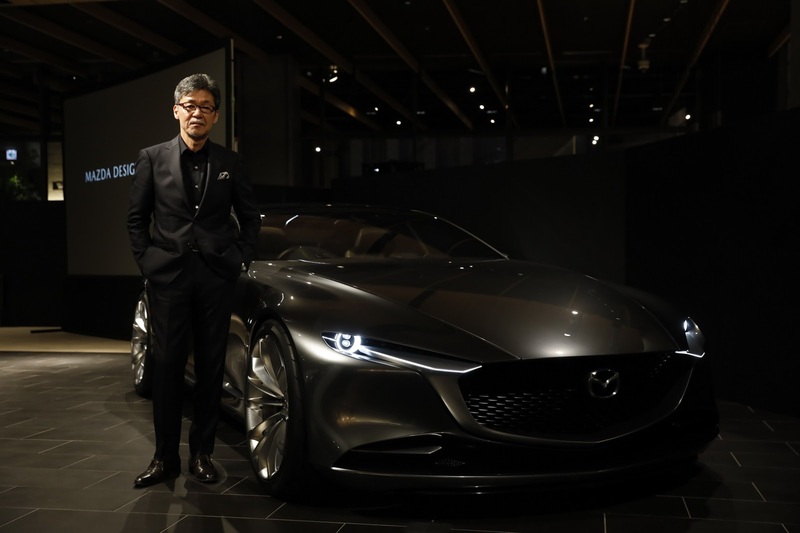 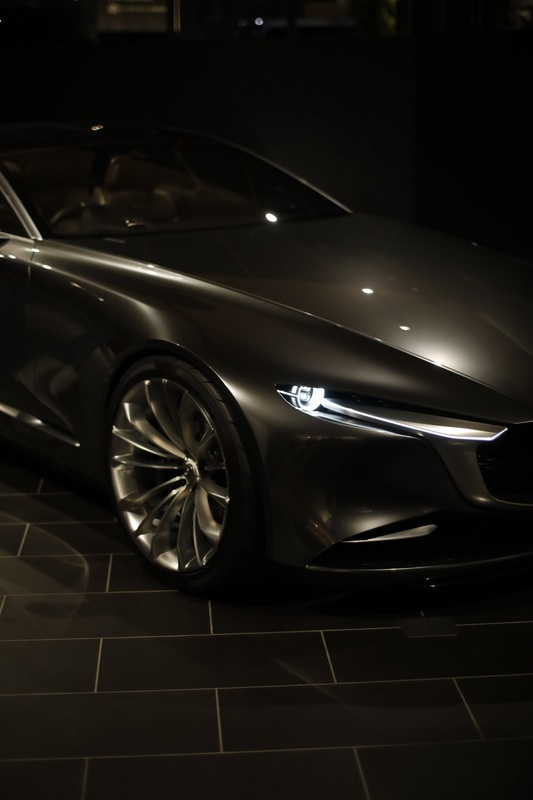 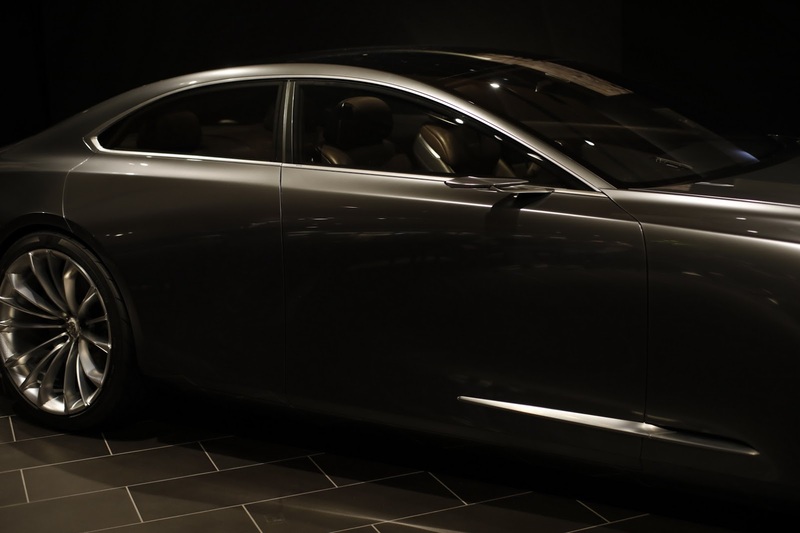 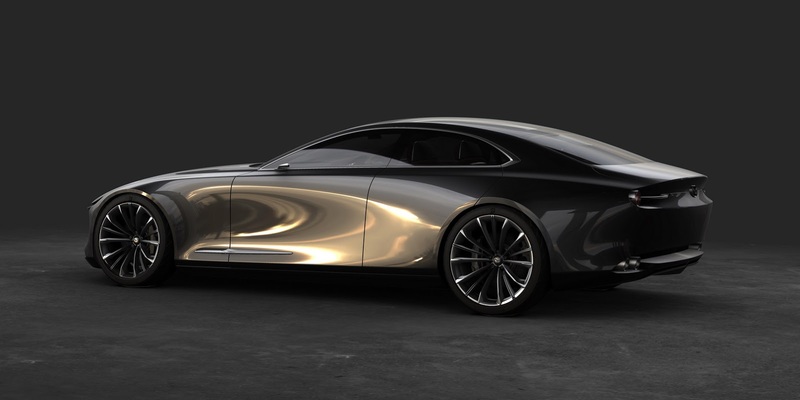 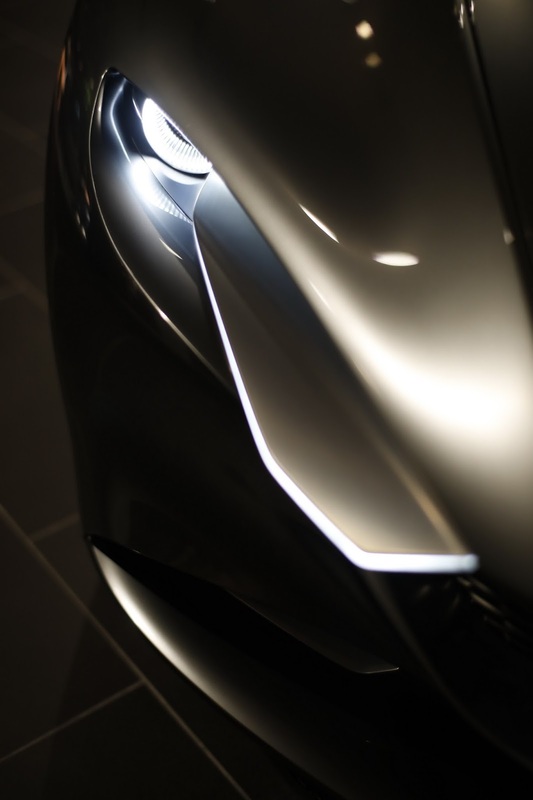 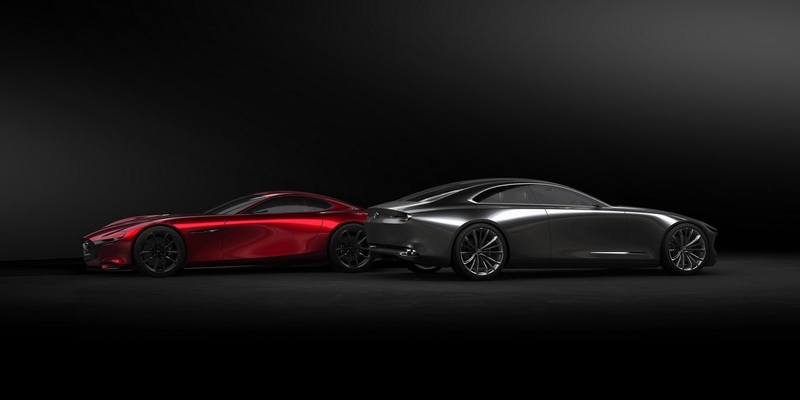 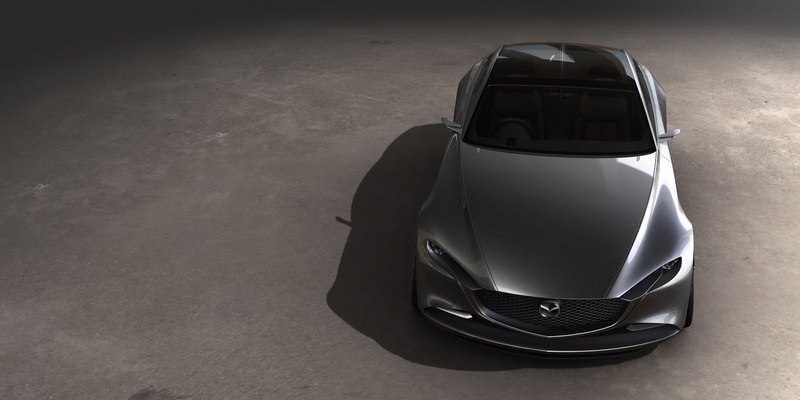 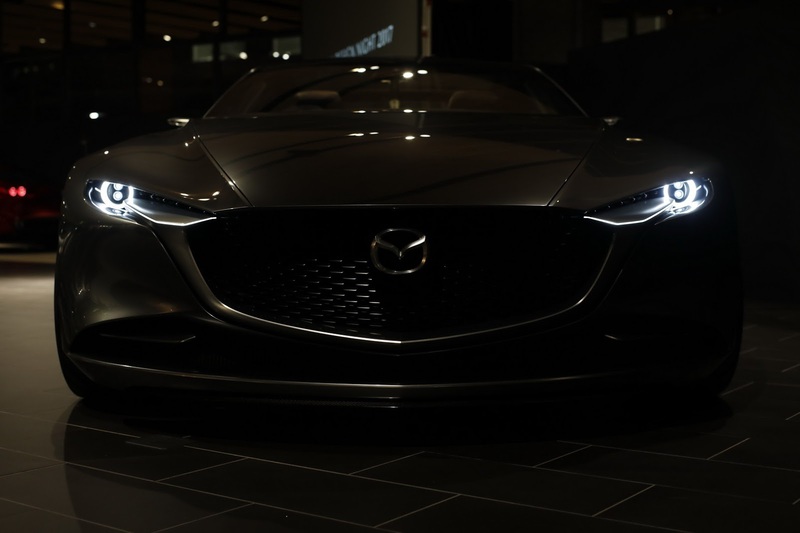 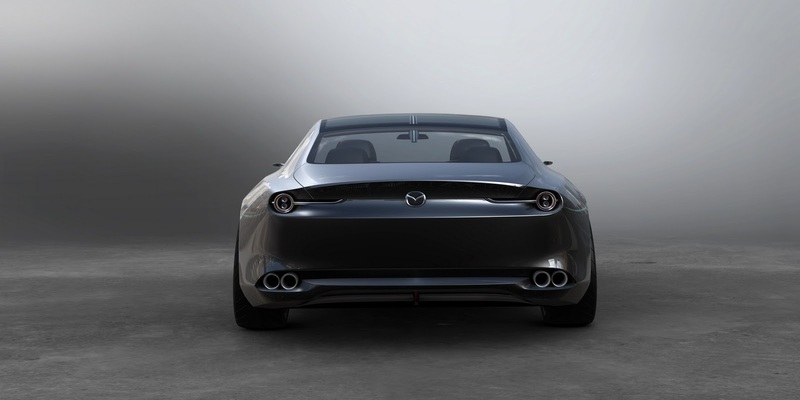 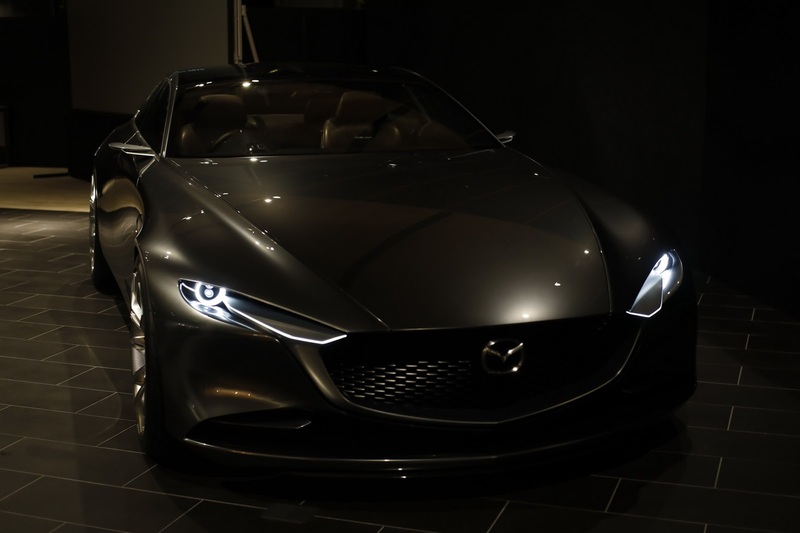 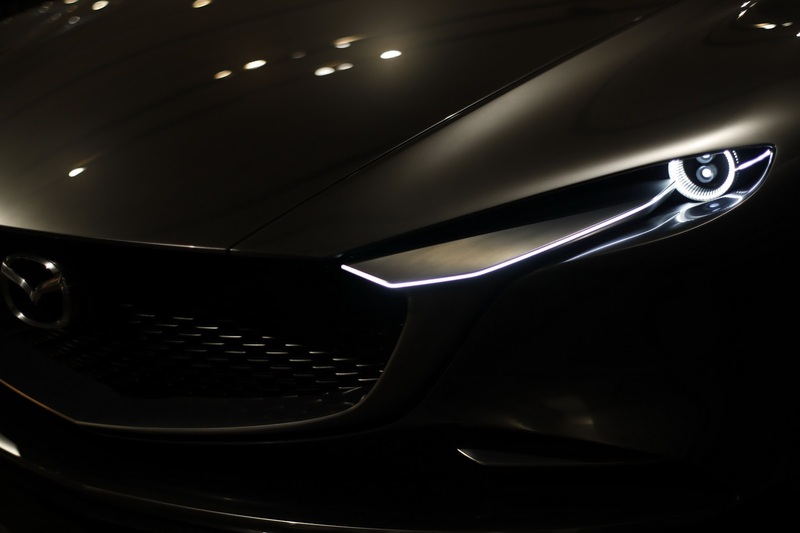 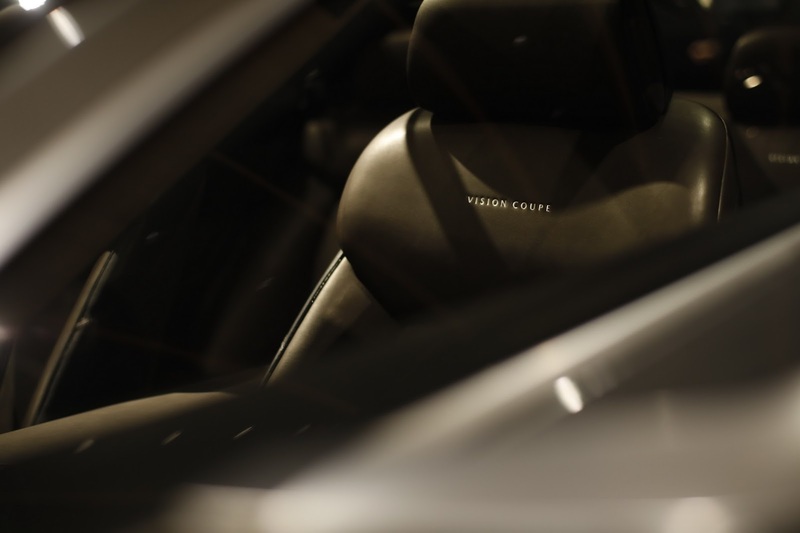 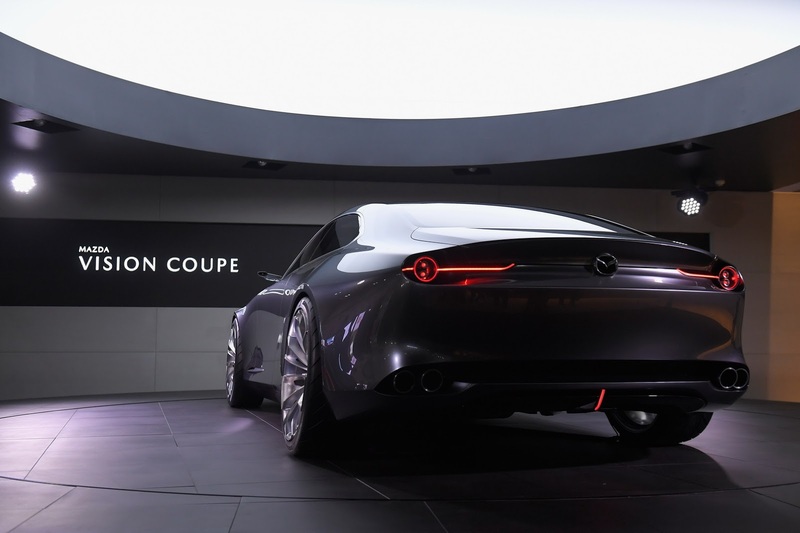 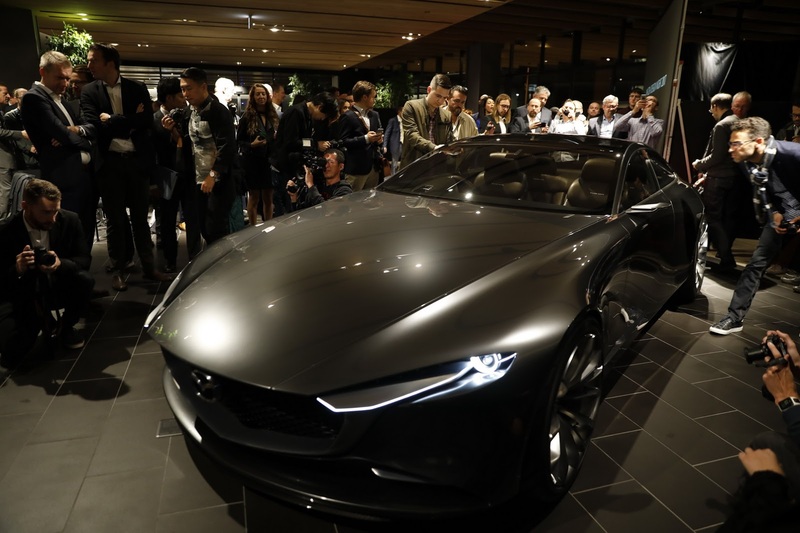 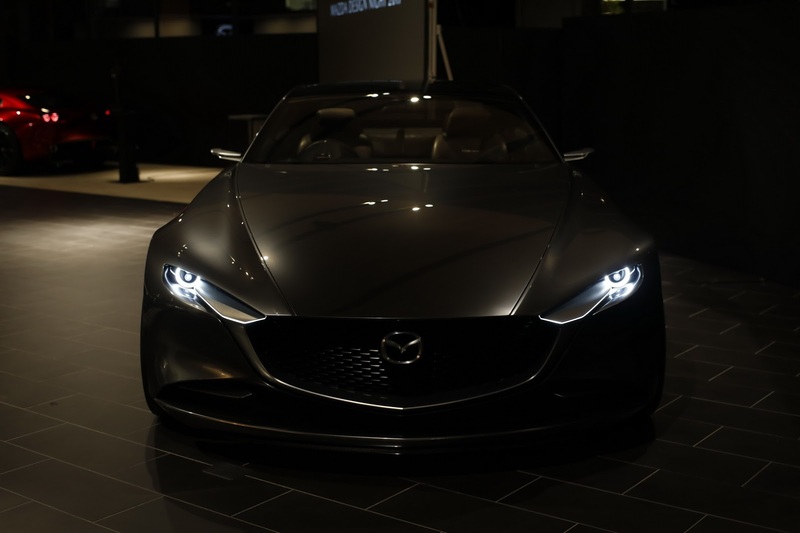 The Vision Coupe showcases Mazda’s evolved Kodo design language and aims to strip away any unnecessary exterior components that could make its design somewhat fussy. 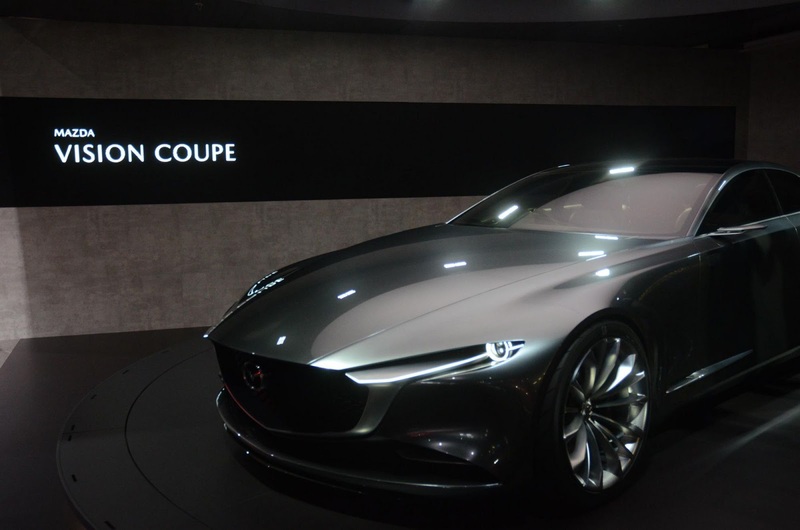 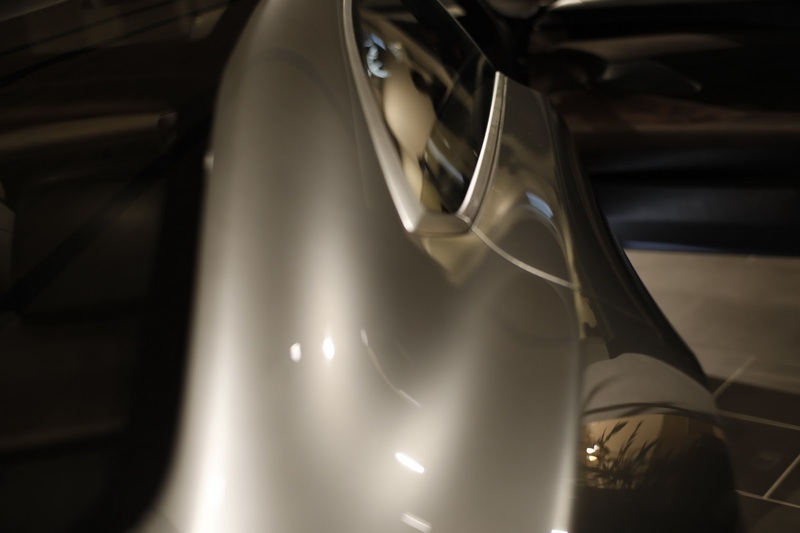 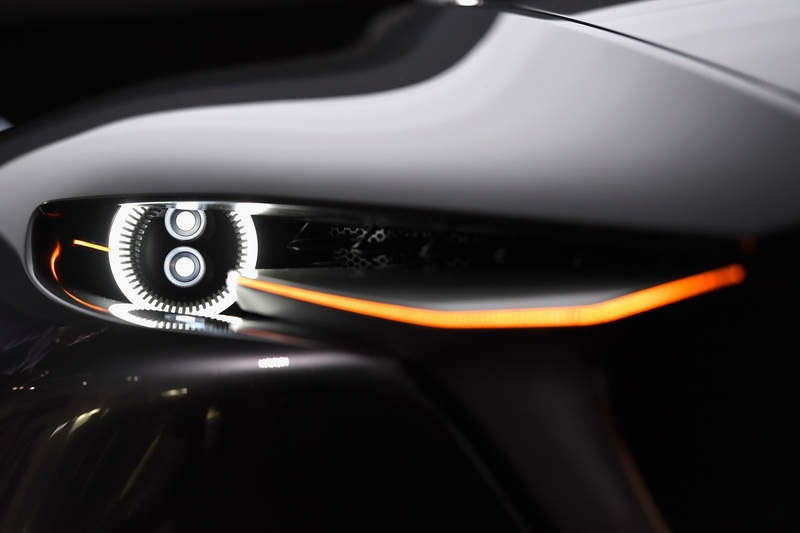 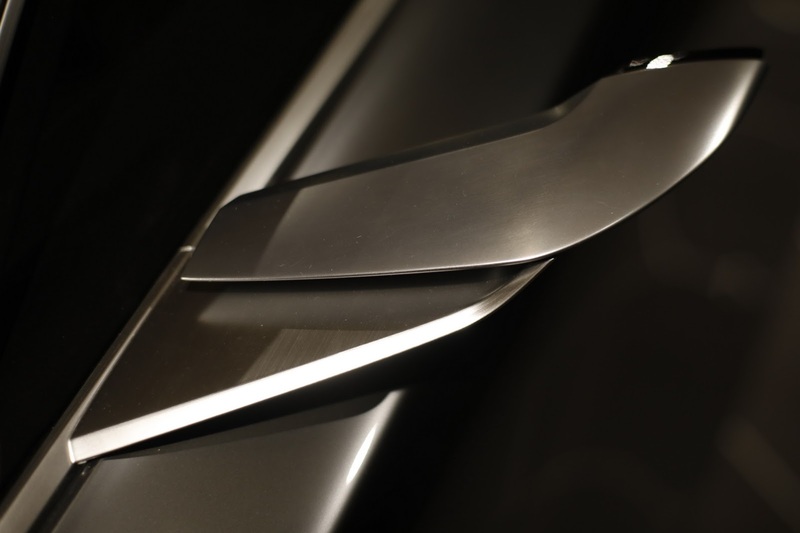 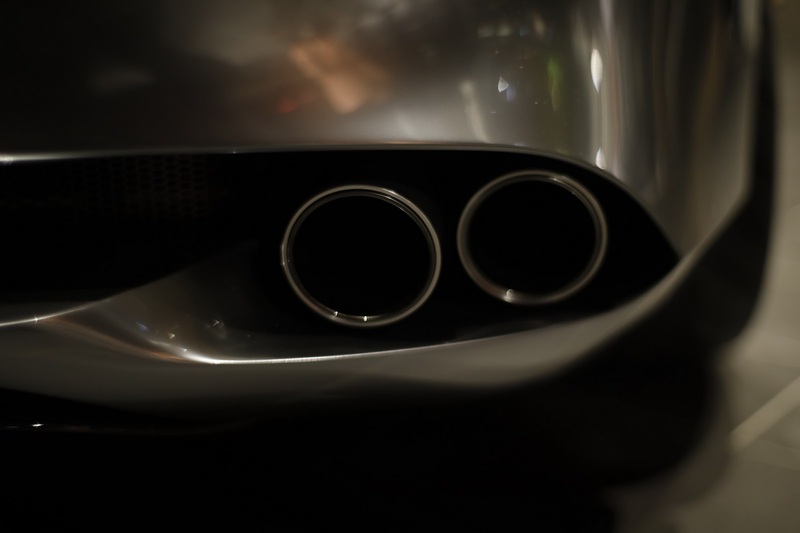 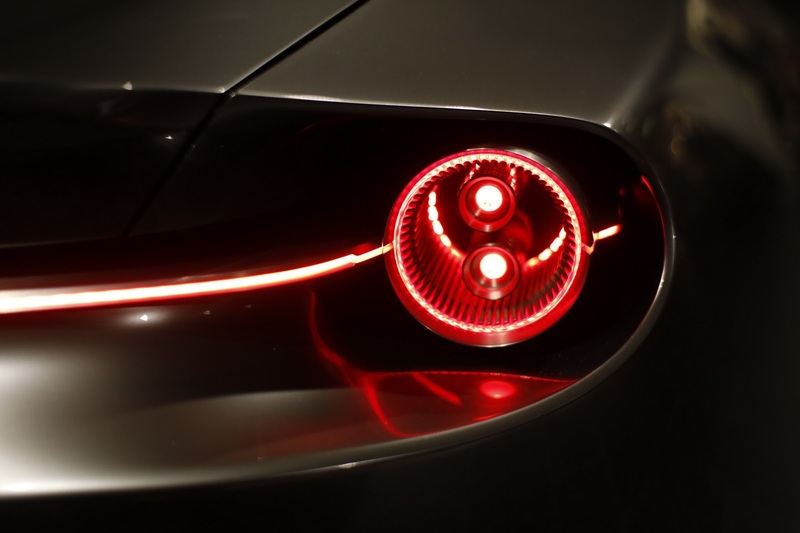 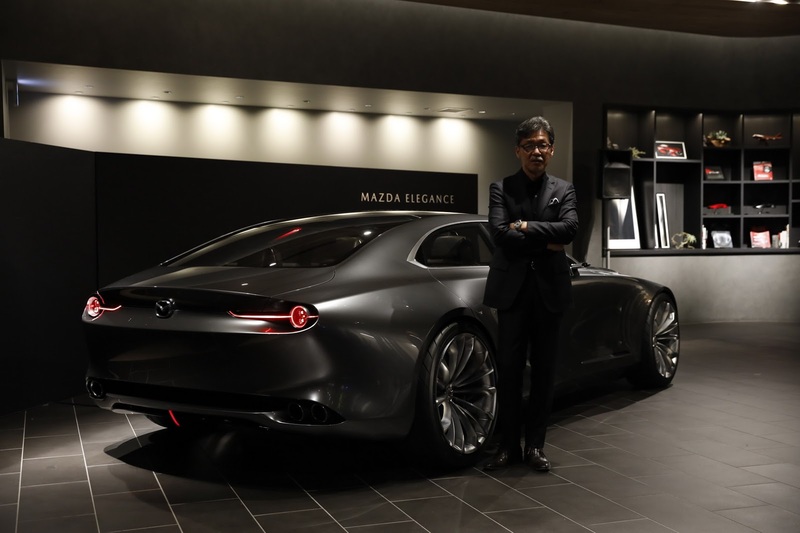 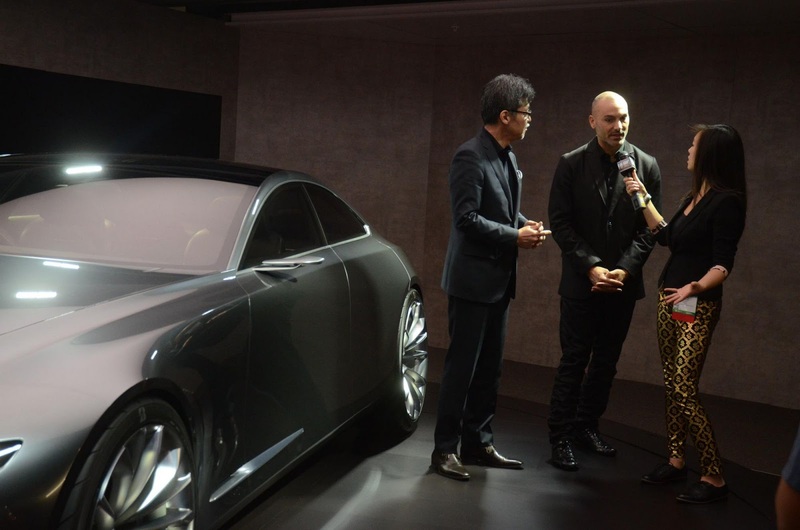 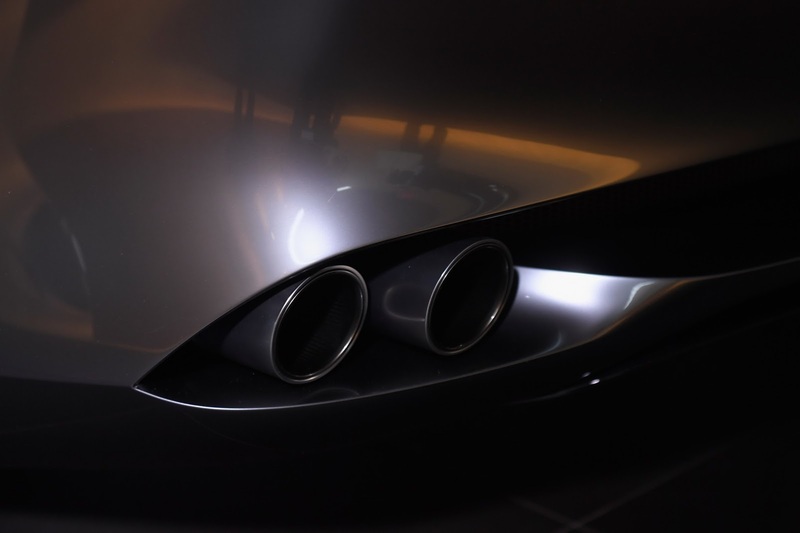 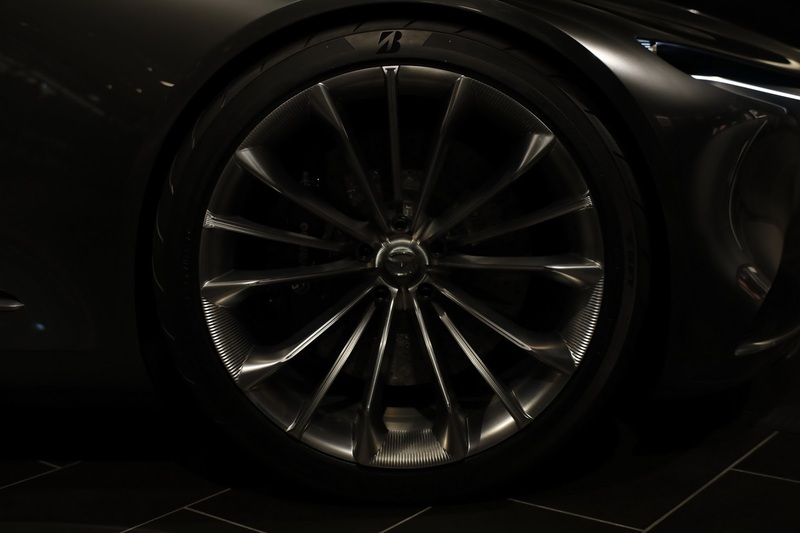 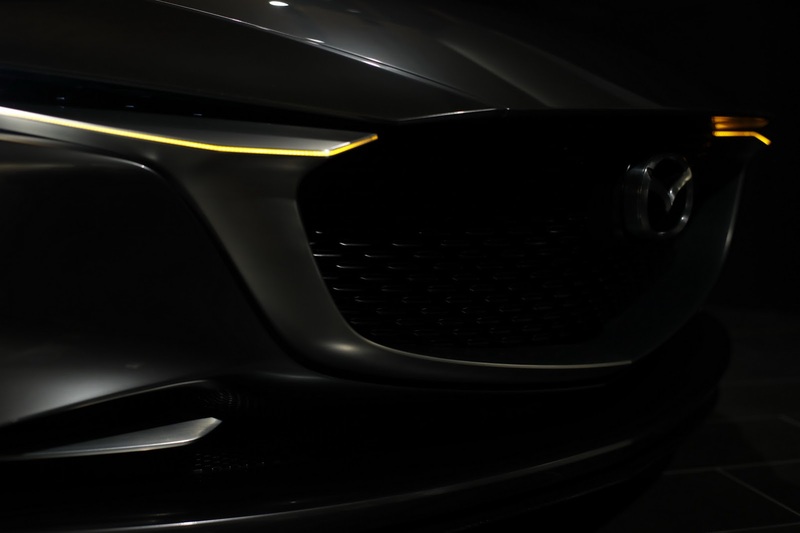 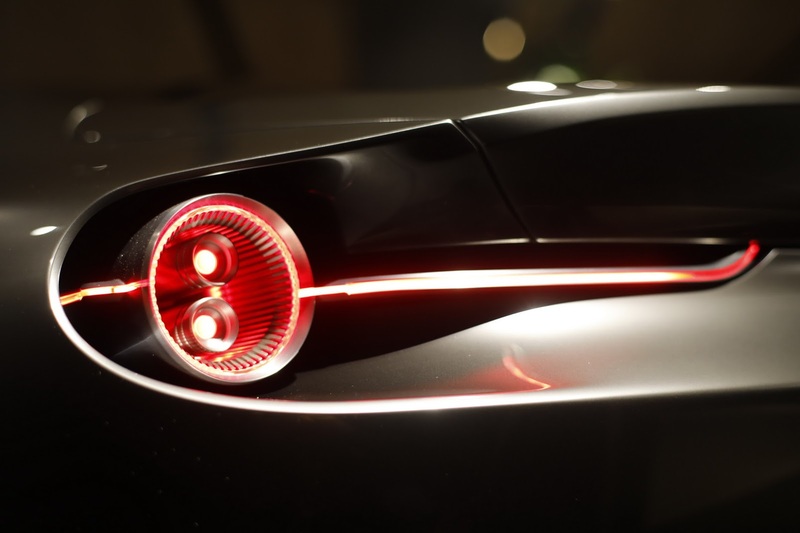 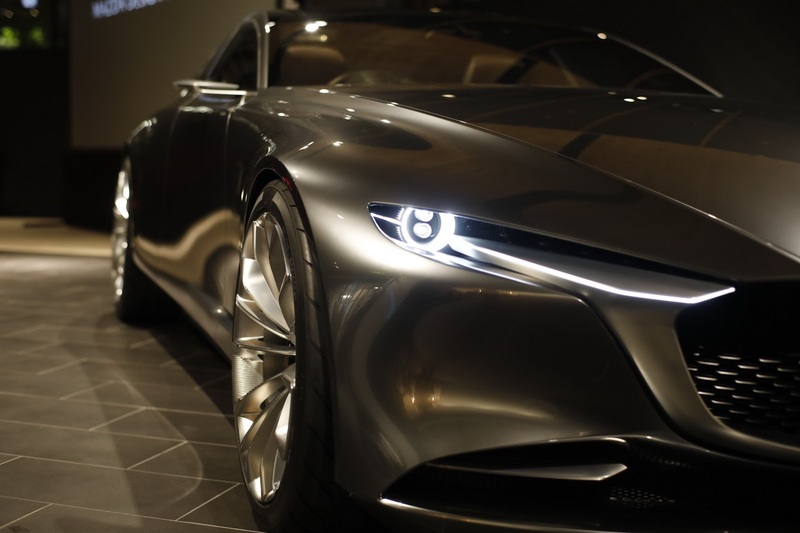 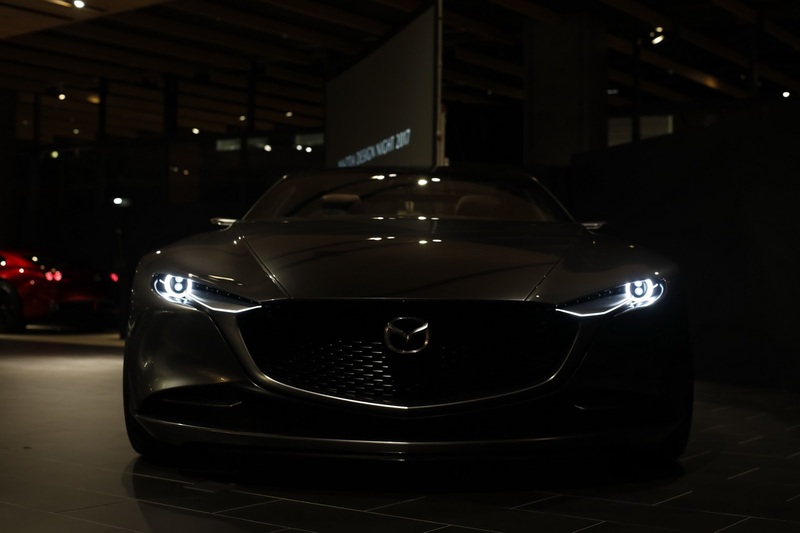 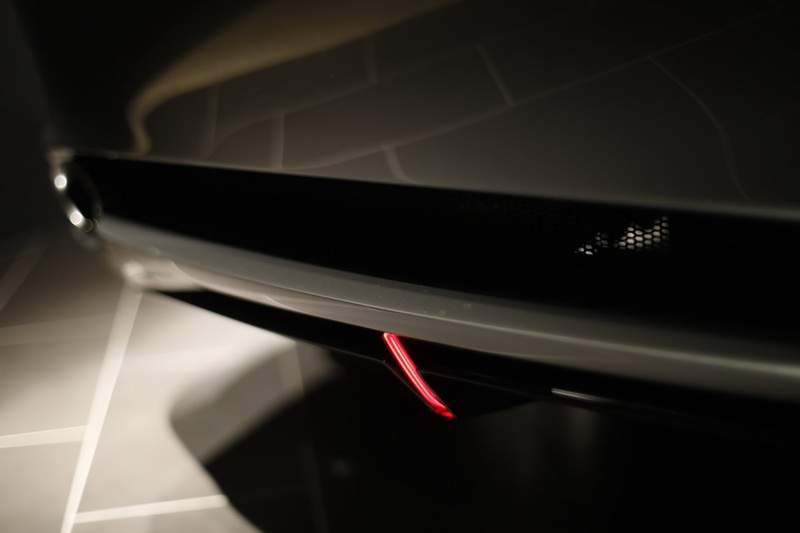 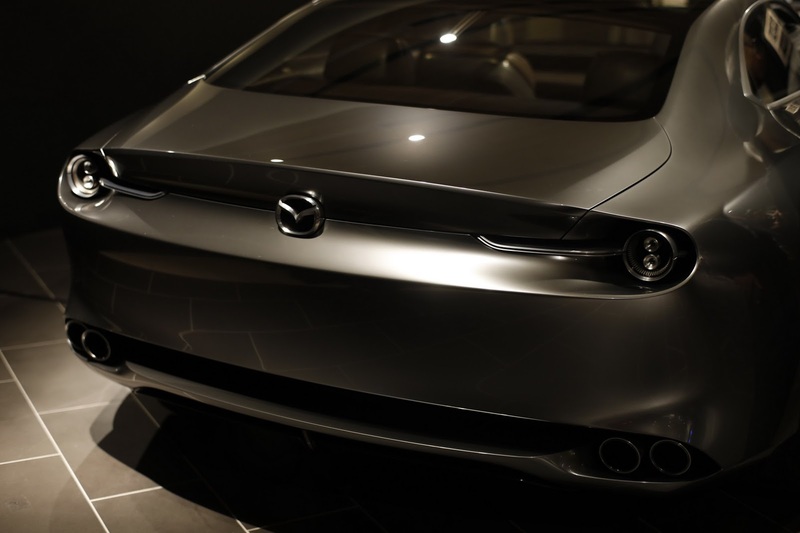 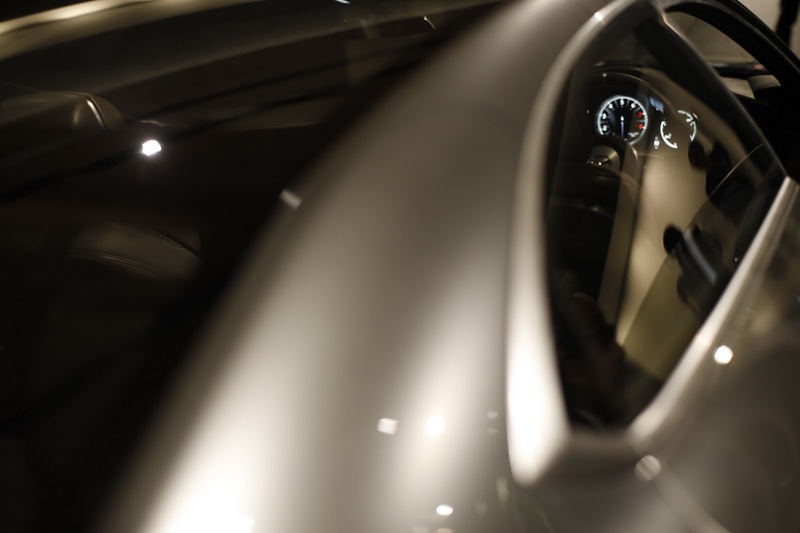 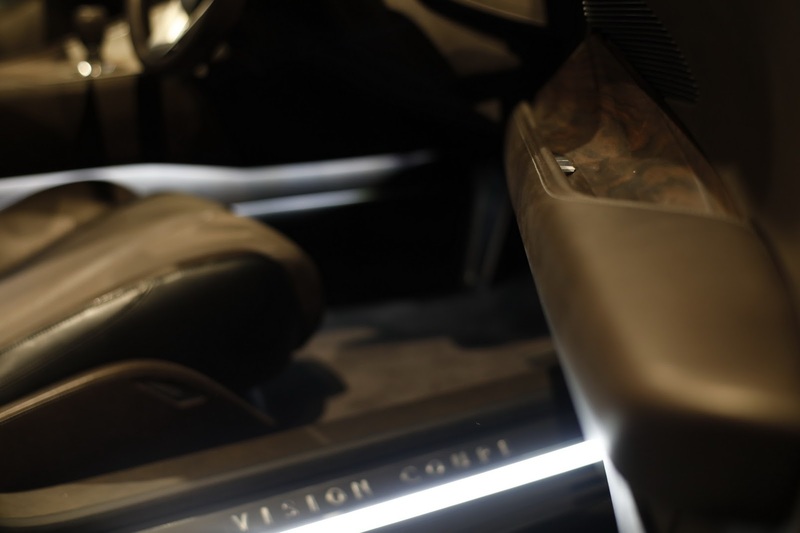 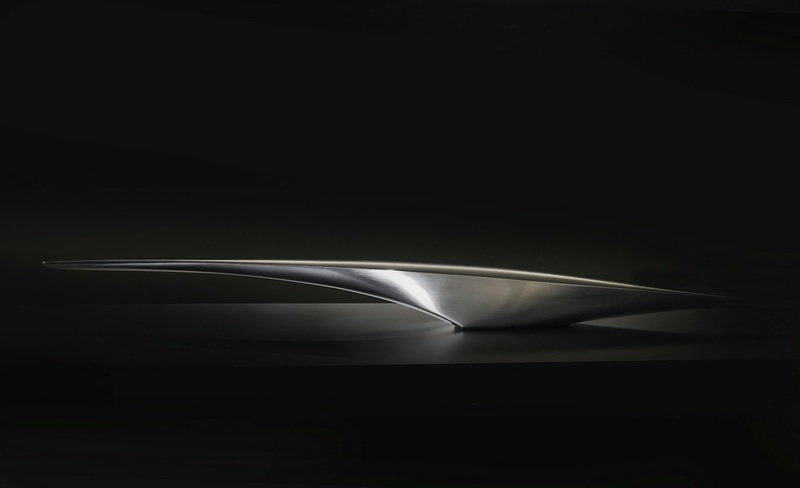 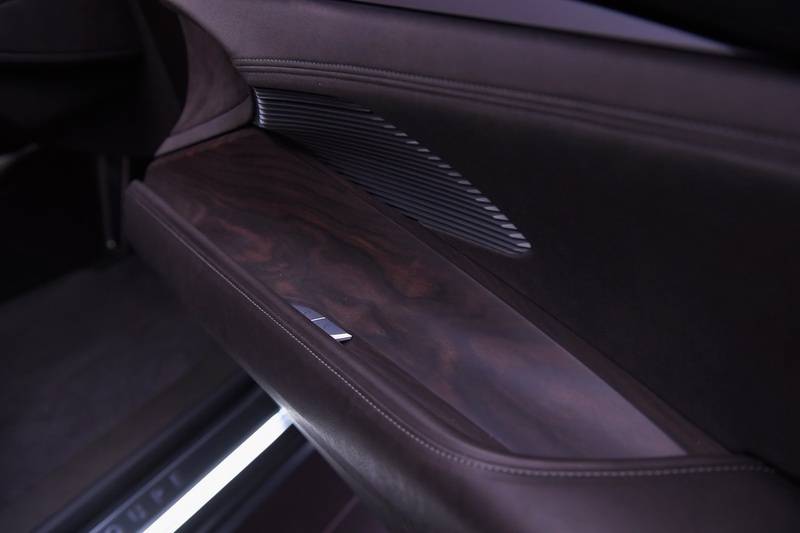 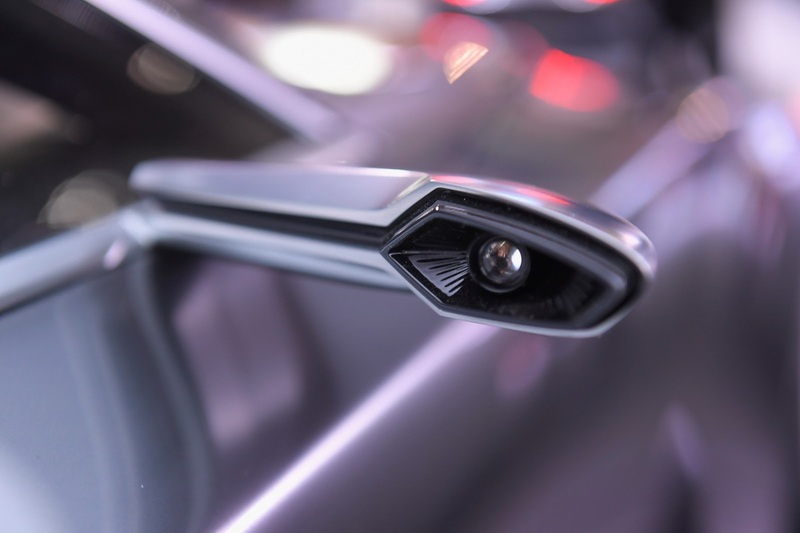 Instead, Mazda designers have found inspiration from simple things, including Samurai swords. 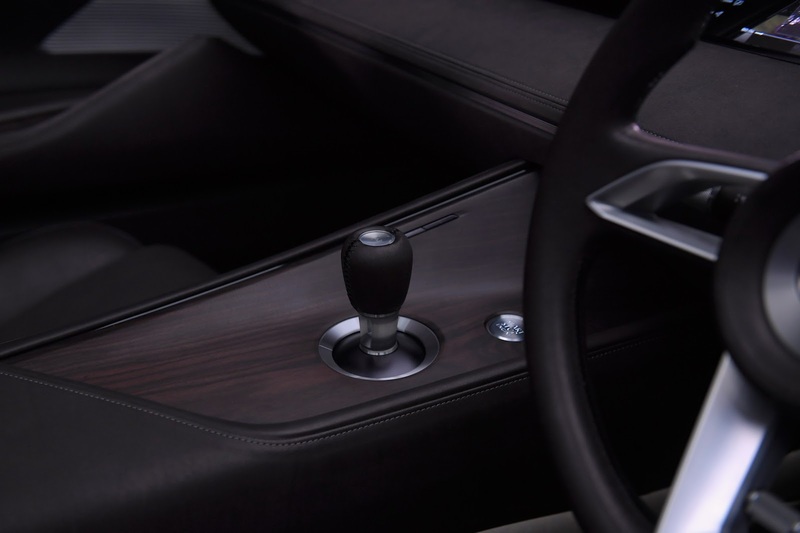 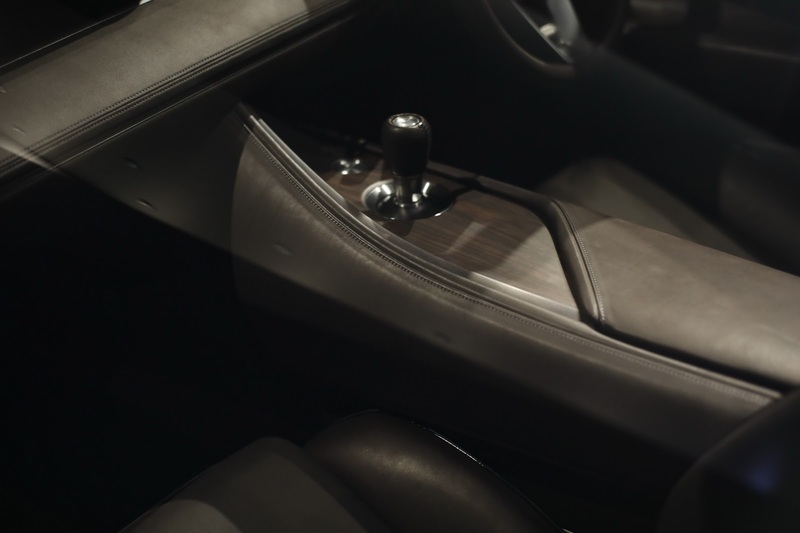 Like the exterior, the cabin is also very minimalist and features a center console void of almost any buttons or switches. 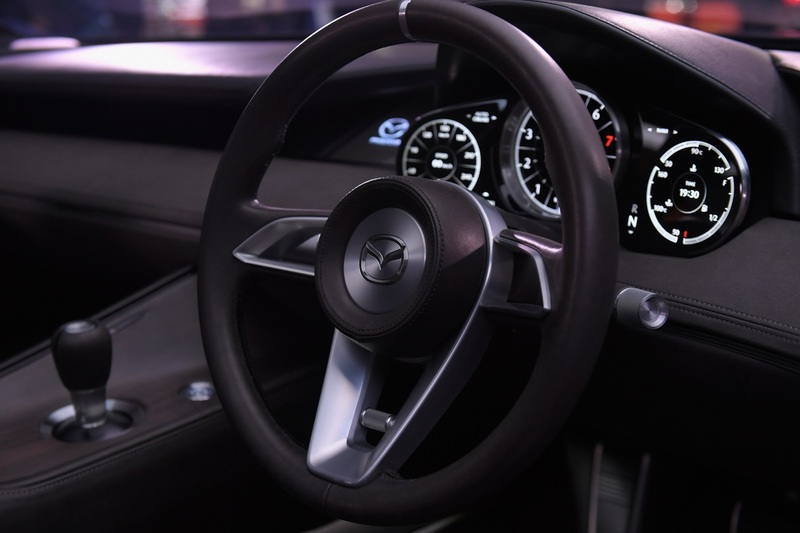 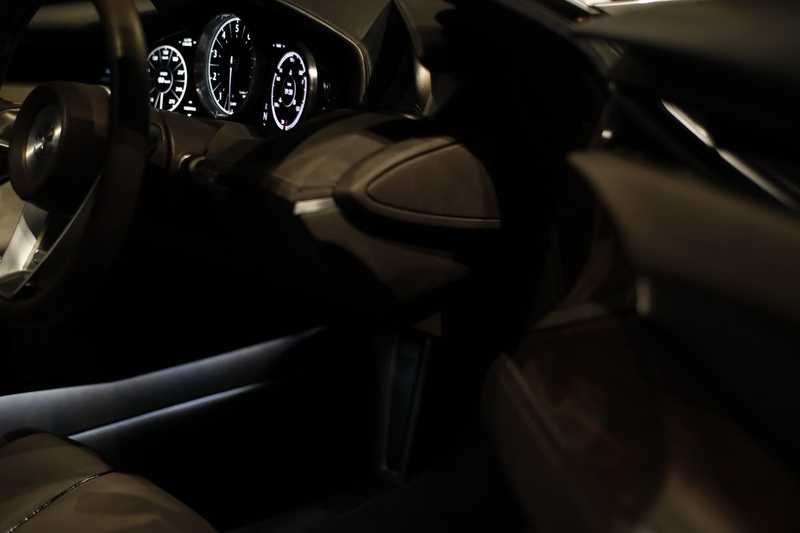 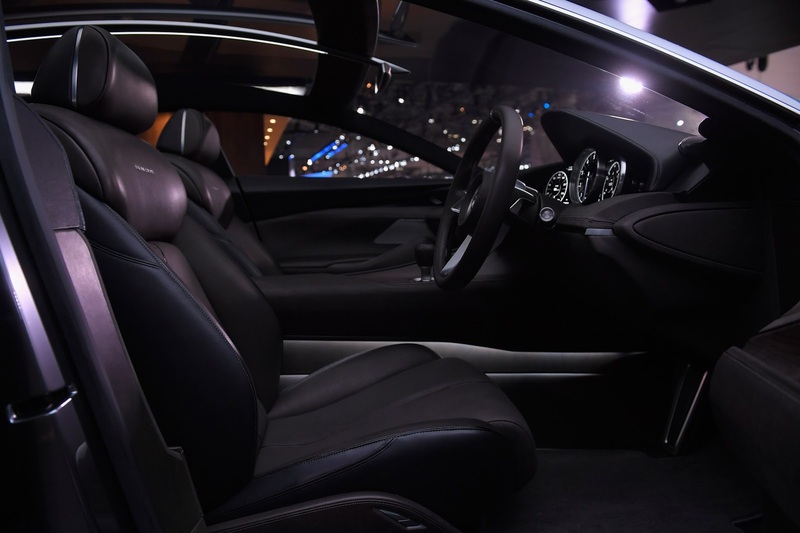 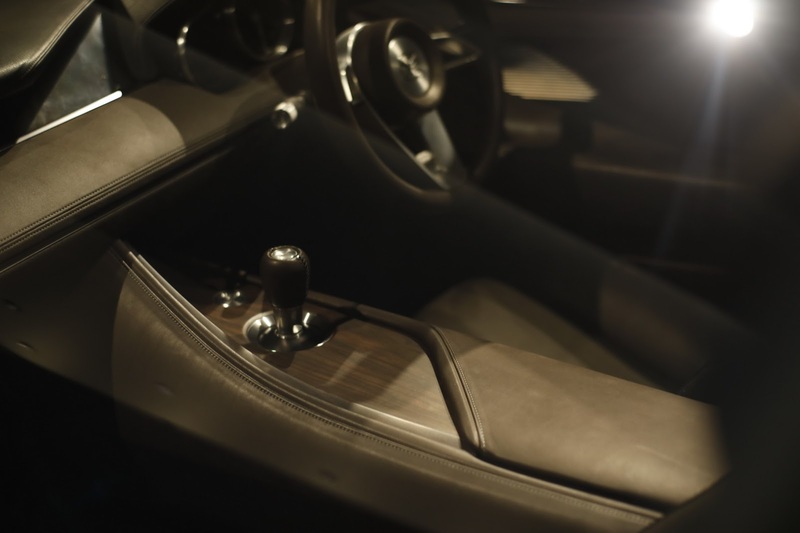 The three-spoke steering wheel is also free of a single button. 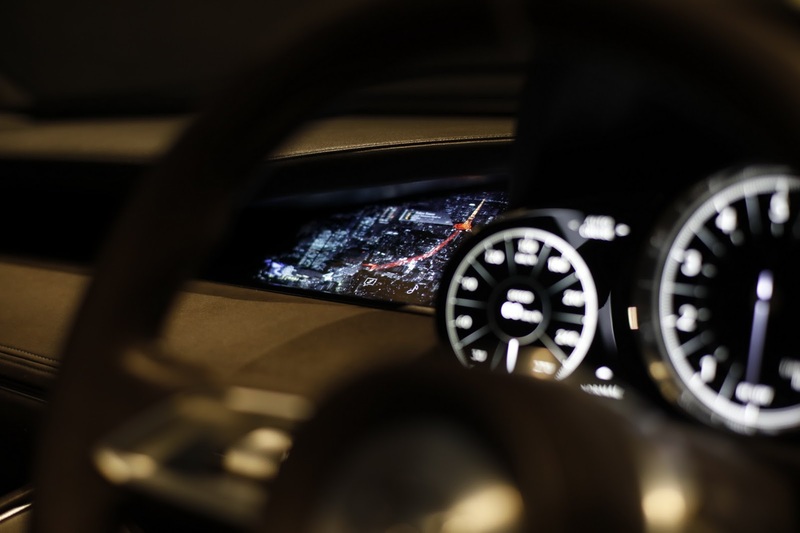 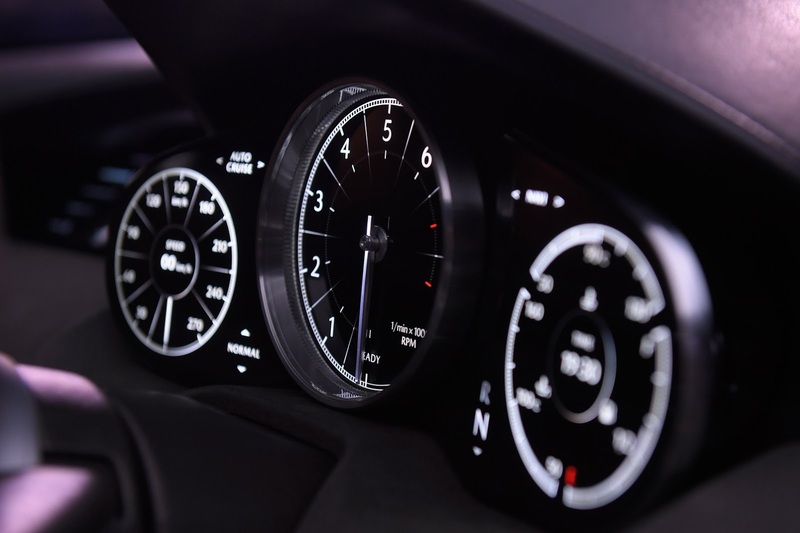 The gauge cluster is quite traditional with three round gauges showing all the vital information.